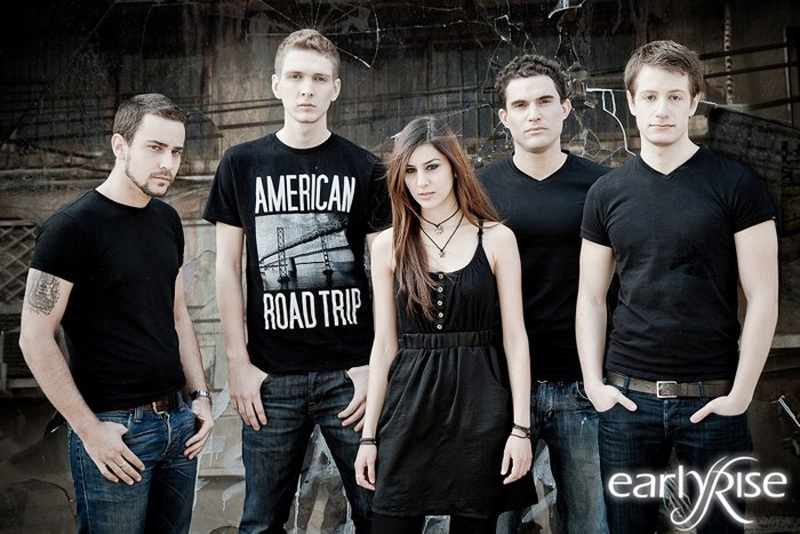 Here we have Israel's EarlyRise, a female-fronted modern rock band. Like my previous review of the band Walkways, this is an Israeli band who sounds very American, and would most likely be heard all over the radio here. Musical style would be a cross between hard rock and pop-rock bands like Paramore(their first disc). The difference between EarlyRise and most bands here in the states of this style of music, is that every song stands on its own. It doesn't sound like the disc was made to appeal to the masses, but made to make the band happy with the work of art they created. Orly Lari's voice is very commercial sounding, but its passionate, clear, and in complete control. Songs like the title track What If show off her talented piano skills as well. EarlyRise: he couldn't find a plain black tee. Become Mad opens the disc, with a clean guitar intro that morphs into a heavy guitar riff with a few melodic guitar tremolos thrown in for good measure. Its a strong way to open the disc, as Lari's voice joins in a minute into the song. Leave Me Alone brings back the early similarities to Paramore, with its faster guitar riff, and a few technical guitar flourishes thrown in. Lari's voice is higher in the mix, and at the two and a half minute mark, she adds in some vocal effects, with her melodic singing over it. The next song is the previously mentioned title track. I really like this song, how it is performed and played. Its dynamic, the soft to heavier parts of the song flow very well together, while matching the intensity of Lari's voice. The beautiful Memories is next, just Lari's voice and a piano, with an accompaniment by strings. It is very melancholy and beautiful, her voice matching the sad minor key its played in. Three quarters into the song, the rest of the band kick in, ending the song in a crescendo, creating a different song then the one that started. Next song, was the first song I had ever heard, titled Old Friend. This is the full electric, full band version of the song, as the version I had heard first was acoustic(See Below). Both versions are very good, this version shows off the lead guitar playing of Raz Klinghoffer (also the band's producer). The acoustic version shows off the somber and yet beautiful voice of Lari. Face Me and the song Wasteland will remind listeners of the song Leave me Alone. While the ballads of China, the absolutely beautiful Goodbye, and the closing track Falling To The Ground all seem similar, they do stand apart. China and Falling have the full band, while Goodbye only has Lari's voice and piano, with strings and the band joining her later on in the song. The one song I want to highlight here, is Over, its Lari's voice. Whether its some of the vocal effects, or its just her delivery, this song stands out from every other track on the disc. This is one of my favorite songs on the entire disc. This is a very solid cd, from a young band with a bright future, who I hope receives the attention here in the States and in Europe. My references to the more pop-rock Paramore may be throughout my review, but this is truly a talented band, that knows exactly how they want to sound. EarlyRise is Orly Lari (v), Raz Klinghoffer (g), Itamar Goldwasser (d), and Dima Grossman on bass. 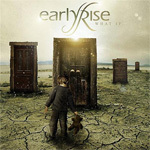 If you go to the EarlyRise web site you can download four songs for free. This young band is definitely up and coming, and a million Youtube views can't be wrong! This young band from Tel Aviv, Israel is definitely up and coming, and a million Youtube views can't be wrong!